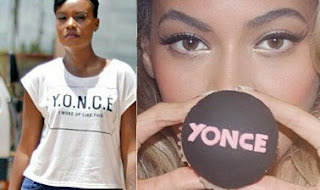 Juliana Kanyomozi is team Yonce! 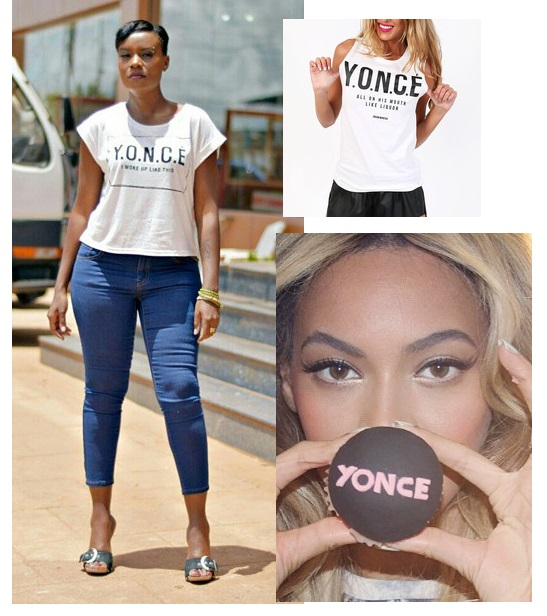 Earlier this year, the Ugandan songstress snap a pic in a Yonce shirt paired with jeans and open toe shoes. Beyonce's latest collections of shirts are very popular. 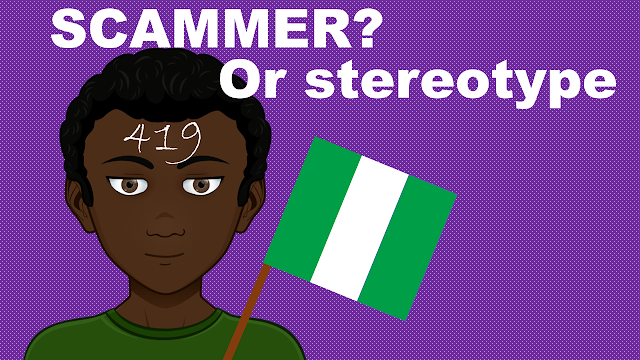 It's therefore not surprising to find some of them on African celebs.